Keep track of your kilometers autonomously. Regardless of whether it concerns a lease or private vehicle or an entire fleet, when you purchase a GPS Track and Trace system (the GeoChaser Eco), your kilometer registration is always available online and easy to export to other applications like Excel. The kilometer registration uses our GPS track and trace systems is which works completely in accordance with the requirements of the tax authorities. Free online account to view all vehicle data. For a one-time fee of € 350 includes kilometer registration software with an online account, Track & Trace worldwide coverage and installation at one of the 70 installation stations in your area. Pay only upon delivery. This combination deal is available thanks to a close joint venture between 12 Trace and United Carshops. You only pay for the communication with the GPS tracker after purchasing and installing a 12Trace GeoChaser. You receive a package with 150 free credits when you purchase the GeoChaser. 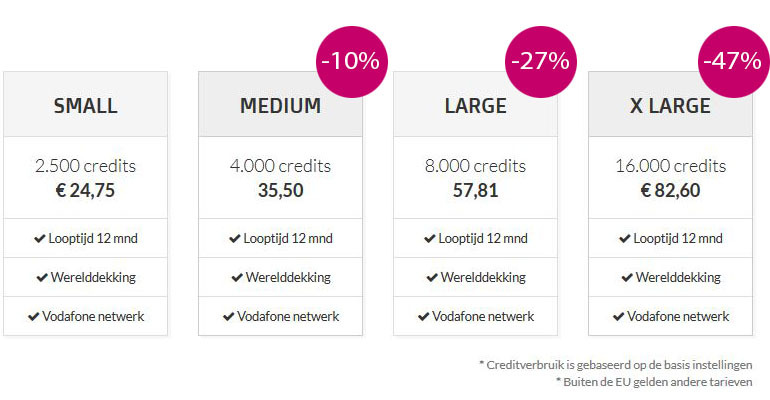 After this, you simply purchase a additional credit bundles for the communication with the GPS tracker. You can choose based on the kilometers you expect to make. You may also purchase a business package. This ensures that you can top up your GPS Track and Trace systems with credits from one central account in order to continuely take advantage of only paying for what you actually use. Do you want to make use of the offer? 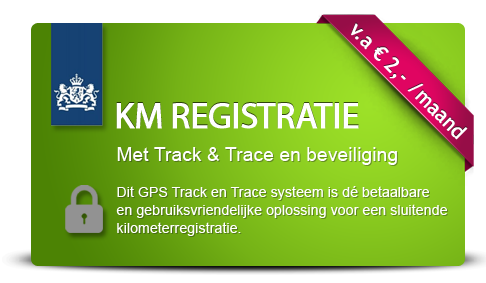 €350 including installation near you, kilometer registration and a full track and trace system. Order your product in 3 simple steps on the KM declaration website! Are you looking to save time and avoid the inconvenience related to keeping track of your kilometer registration? Are you looking for a system that can do this for you in accordance with the requirements that tax authorities? In other words, an all inconclusive kilometer registration system? Welcome to the GeoChaser Eco which also includes a full vehicle track and trace system. Why choose the GeoChaser Eco. The all inclusive solution for kilometer registration in accordance with the tax authority requirements. Ideal for monitoring mobile property with notifications when your property moves outside a zone that you define (GeoFence). 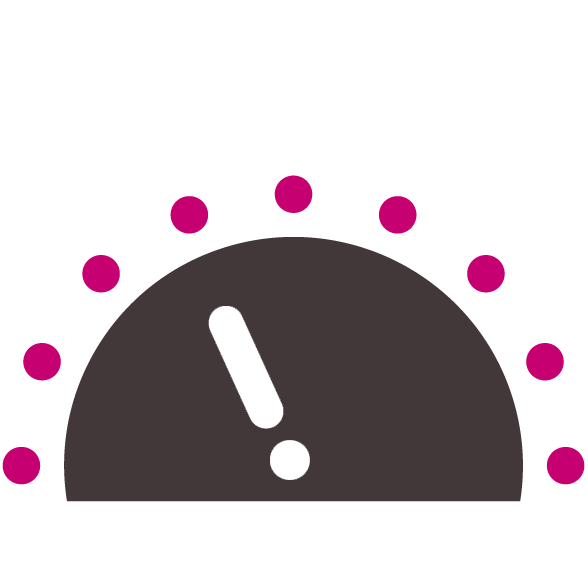 Theft alarm: issues a warning when your vehicle is moved without the ignition. – Managing your vehicle fleet. Are you looking to track and trace multiple vehicles or do you want to know where your employees are? 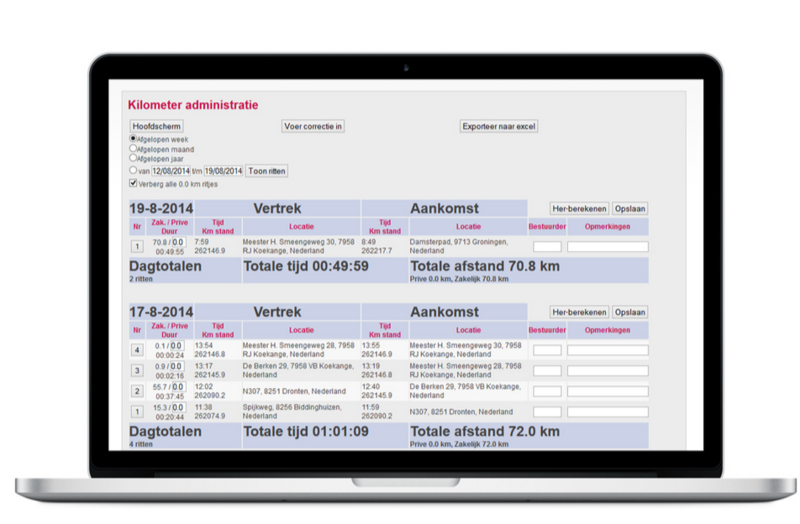 By switching on the fleet management module at no extra charge, you will have immediate insight into the availability of your employees and all from within your online account. The GPS track and trace system operates within the requirements set by the tax authorities. You can choose between a basic kilometer registration or a more detailed registration allowing you to choose between whether you want the highest level of insight and management as the employer or minimum costs and a transparent overview. What does your kilometer registration include? – The period in which you have the vehicle available to you.